The UK’s aviation infrastructure is at a crossroads: a number of different models and scenarios have been proposed, depending on whether strategic policy focuses on the development of regional airport nodes, the maintenance of a UK hub airport, or on the reduction of air travel. 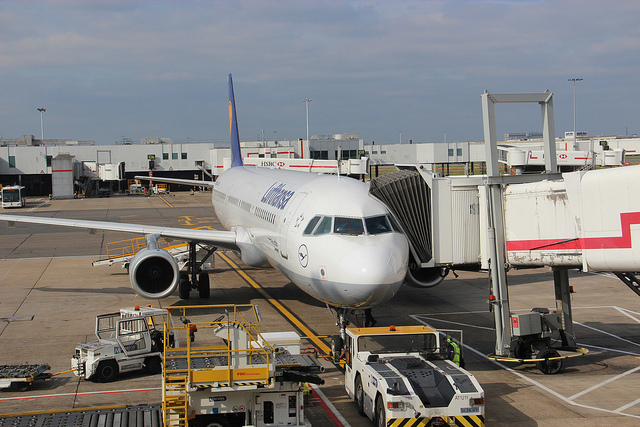 The ITC research has been complementing that of the Airports Commission by investigating the UK’s long-term aviation needs, and the economic and behavioural implications of following different options. The aim is to inform policy makers on the issues and potential trade-offs we might face for each of the alternative routes ahead. The first phase of the project involved a national Call for Evidence during Autumn 2012, and this was followed by a research report Flying into the Future: Key issues for assessing Britain’s aviation infrastructure needs released in May 2013. The report assessed the available evidence and was widely covered by the BBC and other media outlets, becoming the third most hit item on the BBC webpage on the day of release. The report was later submitted to the Airports Commission led by Sir Howard Davies. Following discussions with the Airports Commission the subsequent phase of work involved an investigation into the optimal size of a future international UK hub airport, which produced the similarly named report The optimal size of a UK hub airport in February 2014. This was followed with an assessment of the connectivity strengths and weaknesses of the various options that Sir Howard identified in his interim report, and was published in our report Surface Connectivity: Assessing the merits of the Airports Commission’s options for UK aviation in October 2014. The ITC then examined the cost and impact of the Airports Commission’s shortlisted options in a report released in February 2015 (authored by Peter Hind of RDC Aviation), entitled Delivering improved airport capacity. The report confirms that the aviation industry’s prime business models – hub and spoke, and lower-cost point to point – have both developed strongly globally and are both likely to flourish in the future. UK connectivity needs both. The report confirms our earlier finding that a strengthened hub is most likely to encourage new direct routes between the UK and global destinations. In June 2015, the ITC released the report Time to act: The economic consequences of failing to expand airport capacity, authored by Dr Rebecca Driver of Analytically Driven. The report draws from existing academic literature and Airports Commission data to demonstrate why better air connectivity matters so much for the UK economy and it estimates the ‘opportunity cost’ for the UK economy if we fail to address this issue. The research indicates that there would be significant macro-economic impacts – including important productivity and inward investment benefits foregone – if additional capacity is not provided. The ITC submitted this report to leading Ministers, and will be calling on the Government to act decisively in the light of the Airports Commission’s final report. Our final report in the series, The sustainability of UK Aviation: Trends in the mitigation of noise and emissions, was produced following the studies undertaken by the Airports Commission into Airport capacity and the subsequent decision by the Government to undertake more research into the environmental effects before deciding on where to build the new capacity. Released in March 2016, the report, once again authored by Peter Hind and RDC Aviation, examines a wide range of sources relating to the noise, carbon emissions and pollutants that arise from aviation operations in the UK. It concludes that although these environmental challenges are important and difficult, they are not insuperable. If tackled vigorously and transparently, it is possible for the UK to drive down the environmental costs of aviation while realising the great connectivity benefits that an expanded hub can provide. The ITC is now moving forward with this research, considering what challenges the UK aviation industry will face over the next 25 years. We ran a Call for Evidence to our supporters and industry leaders in Spring 2017 before publishing our strategy report in Autumn 2017. A copy can be downloaded from this link. We are now taking the findings to key stakeholders in 2018 and discussing the outcomes to determine where ITC research would now add best value. This process will include a discussion dinner in Manchester in September 2018.